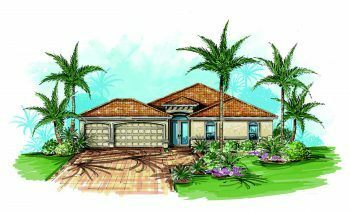 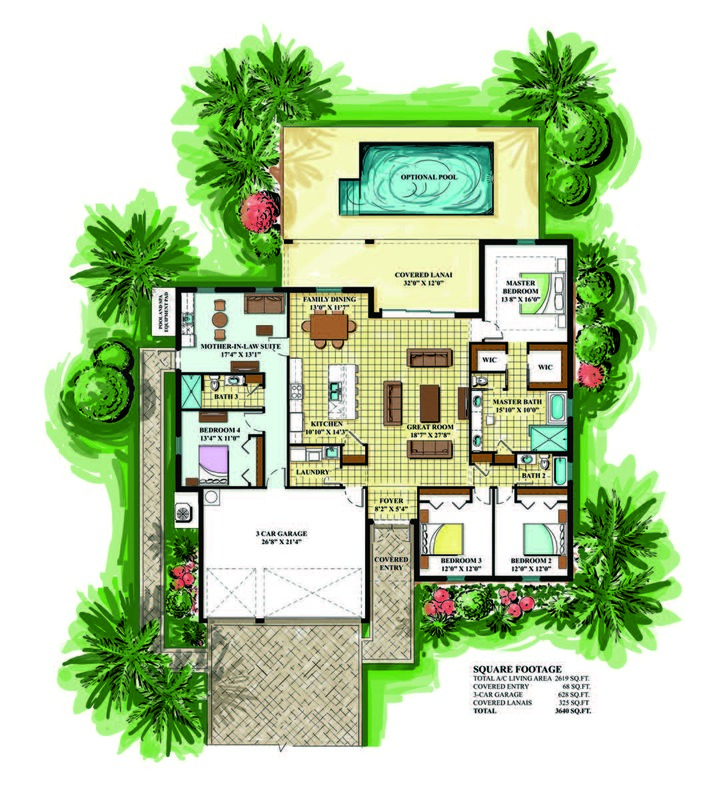 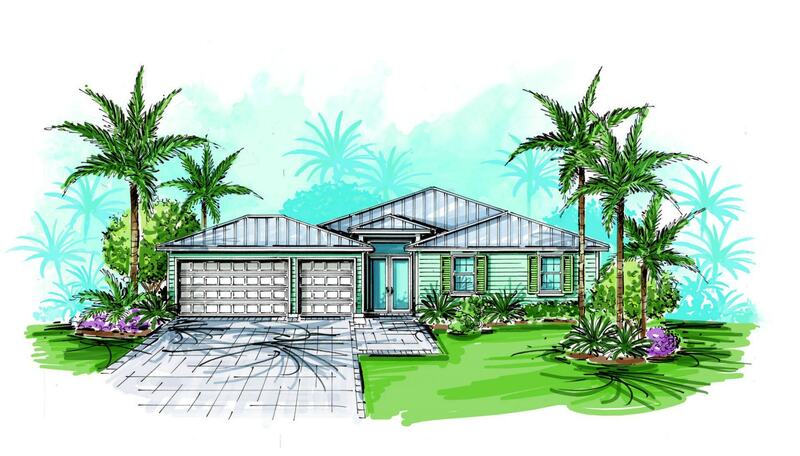 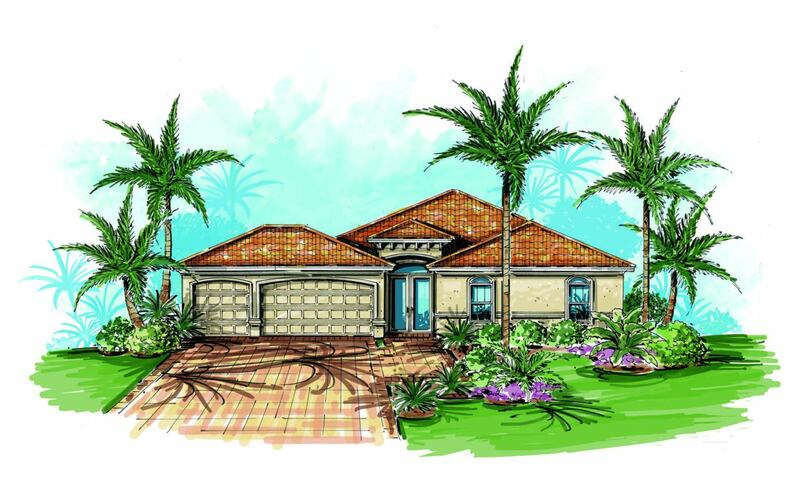 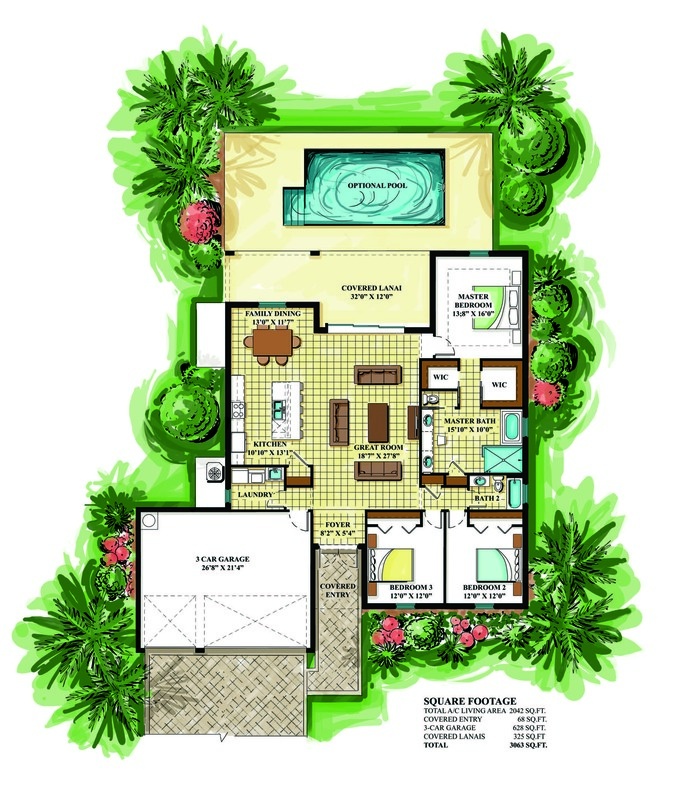 The Islander offers just over 2,000 square feet of air-conditioned living space with three bedrooms and two bathrooms. 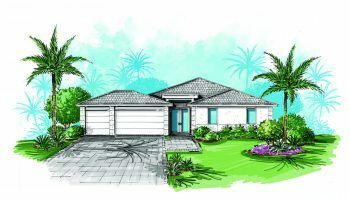 The plan can be modified with the addition of a flex space adding a fourth bedroom, additional bath, and separate living space. The Islander with flex space adds approximately 600 sf with a 4th bedroom, 3rd bathroom, separate living space, and separate entrances.